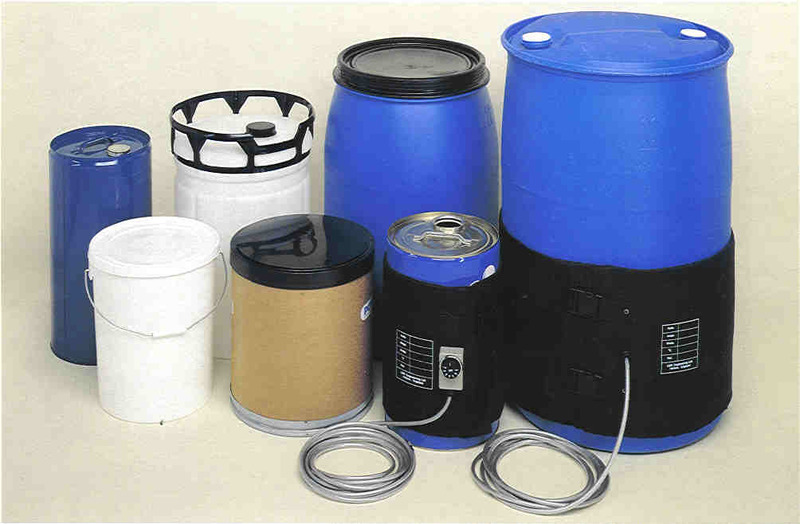 LMK flexible heating jackets and blankets are suitable for a wide variety of plastic, fibre and metal containers - drums, tubs, buckets, kegs, carboys, IBC's, totes, gas bottles etc. Our standard style incorporate a scuff and water resistant polyurethane coated nylon outer surface fitted with adjustable retaining straps and quick release polyethylene clips. A high thermal efficiency layer of insulation is held in place between the outer cover and the inner element carrier. 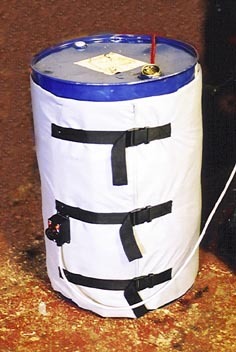 The silicon insulated heating element is woven back and forth along the length of the carrier. The braided supply cable is retained by a polycarbonate gland on the thermostat housing box. The jackets can be supplied in sizes and power ratings to suit particular applications, but our standard units cover most requirements. High quality insulation and direct contact with the drum ensures users of much higher efficiency than can be obtained from traditional band heaters. Heat losses to the surrounding air are much less than with exposed silicon band heaters so the outer surface is cooler and electricity use is much reduced. Either -5 to 40 deg C or 0 to 90 deg C thermostats may be specified, as can operation from 240 volts ac or 110 volts ac power supply. Heavy Duty Coated Nylon base fabric. Hydrolysis resistant, polyurethane coated polyamide substrate with fluorocarbon finish. Silicon insulated spiral wound resistance element. Adjustable or fixed temperature thermostat. Electrical insulation double insulated for safety. Standard 240v ac or optional 110v ac. Power cable 5 metres, 2 x 1mm², PVC insulated, sheathed, galvanized steel wire braided. Designed for temperatures up to 180 deg C (350 deg F). Very high container insulation properties. Faster heating rates than our standard jackets. 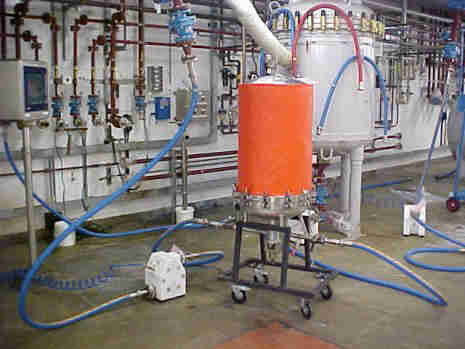 Custom sizes for many process and reactor vessels. Contact us for full technical details and pricing. 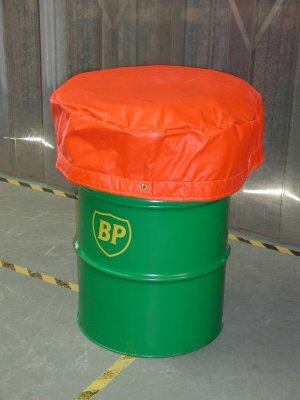 High Power Jacket for standard 205 litre drum, and chemically resistant jacket for custom vessel.